Great suite for your business. Newly updated with fresh, modern look including modernized elevators, new corridor renovations, public bathrooms, etc. 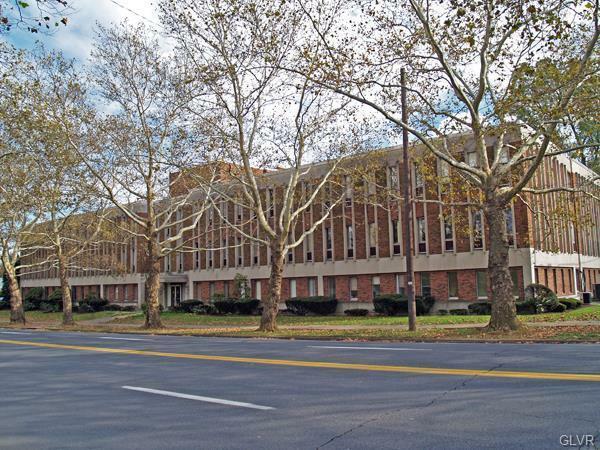 View this great office building located across from beautiful Lake Muhlenberg and in a high traffic area of West Allentown. Close proximity to highways. Will build to suit. Off-street parking and conference room available for tenant use. Electric (heat and air conditioning) included. Modified Gross Lease with all but suite specific maintenance and partial CAM ($1.31 per GSF in 2011) included. Professional, on-site management.